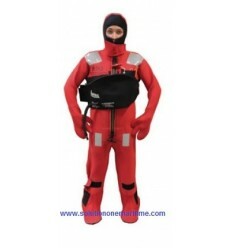 Imperial Immersion Suit 80-1409-C Child USCG The Imperial Immersion Suit has the longest running history in the US Marine Market than any other suit. 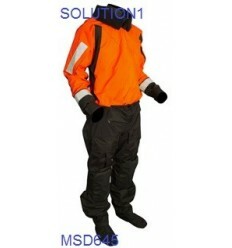 It was invented in 1969 by Gunnar Guddal,and is in fact the first suit ever of its kind. The legacy continues today as the lives ofcountless owners of Imperial suits continue to be saved. 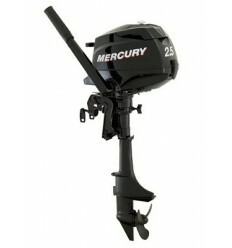 Mercury 2.5 HP, 4-STK 2018 Short Shaft [ME2.5SM4S] Free Shipping Standard features include: Forward neutral shift (360 degree turning for reverse); single carburetor; water cooled; 1.5 qt. 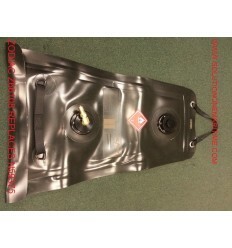 integral fuel tank. 5 Year Warranty!!!!!!! 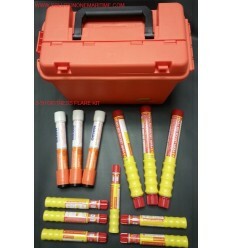 USCG 3 To 50 Mile Signal Flare Kit FREE SHIPPING Distress signal kit designed to meet the USCG requirements for commercial boats that operate up to 50 miles from land. 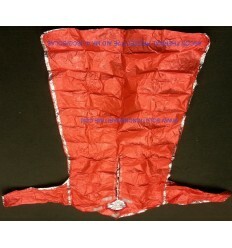 It consists of: 3 hand held orange smokes, 3 parachute red flares and 6 hand held red flares & a orange storage box. 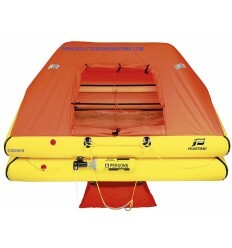 Plastimo Crusier ORC+ Life Raft 4 Person Valise Designed for moderate navigation conditions up to 50 miles from shore : 0°C inflation temperature, double floor, fluorescent orange canopy supported by self inflating arch, 0.75 cd outside light, retro-reflecting stripes. 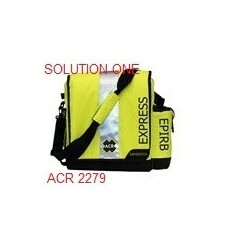 Ascon Thermal Protective AID MK 4 DX1530M Originally designed for use in lifeboats and life rafts a Thermal Protective Aid or TPA has limitless applications for boaters and non boaters alike. Keep one or two in your car or truck in case you become snowbound! 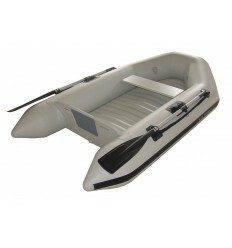 Z7096 Zodiac PVC Inflatable Boat Glue 750ml 2-Part glue used on PVC fabric boats to provide an adhesive bond between the fabric and or accessories. 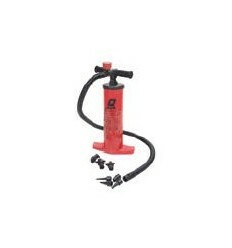 Mercury Double Action Air Pump 889345Q01 Pressure gauge included, Includes all standard inflatable valve fitting sizes. Easily adjustable from single to dual stage pump with the turn of a knob. 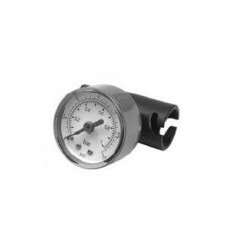 Mercury Pressure Gauge 889346 Lock- in dial pressure gauge to fit all Haulky Roberts valves and provides a sealed fit when using pump. 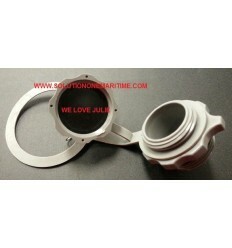 Fits #889345Q01 type double action pump. 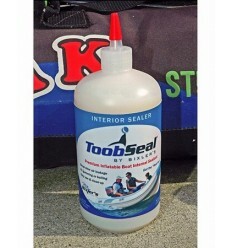 Toobseal Quart Did you know that virtually ALL inflatable boat repair facilities use interior sealants for slow leaks and porosity? 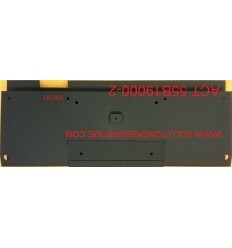 Patches can be unsightly and difficult to install. 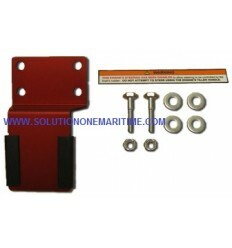 Our exclusive ToobSeal® formula has been used by boaters and repair professionals since 1996. 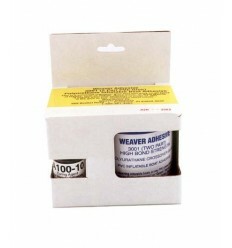 Weaver PVC Inflatable Boat Glue 1/2 Pint 2-Part glue used on PVC fabric boats to provide an adhesive bond between the fabric and or accessories. 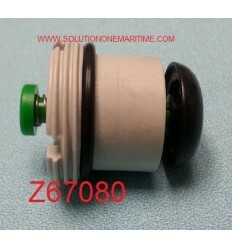 Nissan Tohatsu TOHATSU 369873221M Water pump impeller kit. 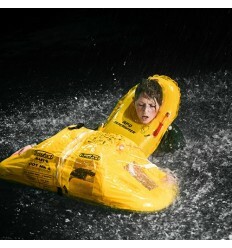 4 HP, 5 HP & HP 4-stroke and 2-stroke Tohatsu and Nissan model outboards. Z7098 Zodiac Hypalon/CSM Inflatable Boat Glue 750ml 2-Part glue used on Hypalon/CSM fabric boats to provide an adhesive bond between the fabric and or accessories. 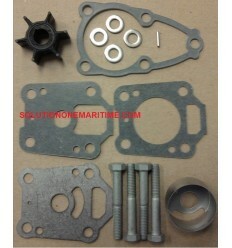 Since 1954, Solution One Maritime, formerly Bonanni Ship Supply, has served the marine industry.